RainSaucers are indeed catching on. 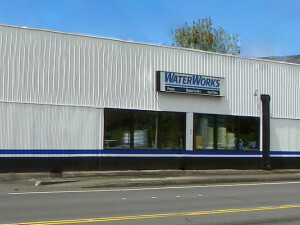 Just in the past few weeks we concluded reseller arrangements with new distributors WaterWorks (Hawaii, pictured here), Laundry to Landscape (Santa Cruz) and Small Space Garden Club (Florida Keys). WaterWorks, as you can see, is a major player in private water systems in Hawaii offering both rainwater catchment systems as well as pools. Laundry to Landscape is a rain barrel system provider in Santa Cruz run by LeAnne Ravinale an expert in both grey water and rain water catchment. Finally, Space Garden Club is a brand new company in the Florida Keys run by Rick Smith who specialized in Community Gardening and Gardening with space limitations. Welcome new Distributors!